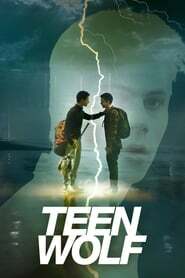 overview : Scott McCall, a high school student living in the town of Beacon Hills has his life drastically changed when he's bitten by a werewolf, becoming one himself. He must henceforth learn to balance his problematic new identity with his day-to-day teenage life. The following characters are instrumental to his struggle: Stiles, his best friend; Allison, his love interest who comes from a family of werewolf hunters; and Derek, a mysterious werewolf with a dark past. Throughout the series, he strives to keep his loved ones safe while maintaining normal relationships with them.